Ah green tea, green tea everything please! I have come to realise that I was wearing the mask on the wrong side in the above picture but I did wear it correctly afterwards and forgot to photograph it. Silly me. This mask is best suited for oily, acne or skin prone to spots. There are four main ingredients: green tea extract, hyaluronic acid, aloe vera extract and chamomile, each having their own benefits. Combined, the mask is a treatment for acne, help maintain elasticity, prevent premature ageing, regulates sebum and makes the skin radiant. The cloth was drenched in the serum, with some dripping and some leftover in the packet. I am surprised at how cold this feels on the skin, a little too refreshing. I’ve tried other cloth masks and they were too big for my face but this one had surprisingly fit 90%. There are cuts to allow the mask to fit the face shape easily. I only needed to scrunch above the lip and the mask doesn’t slip despite the amount of serum on it. There is a scent which isn’t strong, I quite like it. Once the mask is off after 15-20 minutes, I needed to massage the excess serum into my skin and on the neck as well. It didn’t absorb as quick as I thought it would. I needed to massage it in for a few minutes. After one use, I could see some spot redness especially on the temples calming down and didn’t break me out. It did leave my skin moisturised afterwards. As with regulating oils, I couldn’t really see much of an improvement but I would need to use this more to see the full benefits properly. I wouldn’t mind trying this further in the long run to see if there are more noticeable improvements. There are plenty of other masks to suit all skin types. Have you tried any cloth masks? I have never tried cloth masks, but it looks like a good product. Nice review. I haven't tried this kind mask but it's interesting!! wow looks cool! 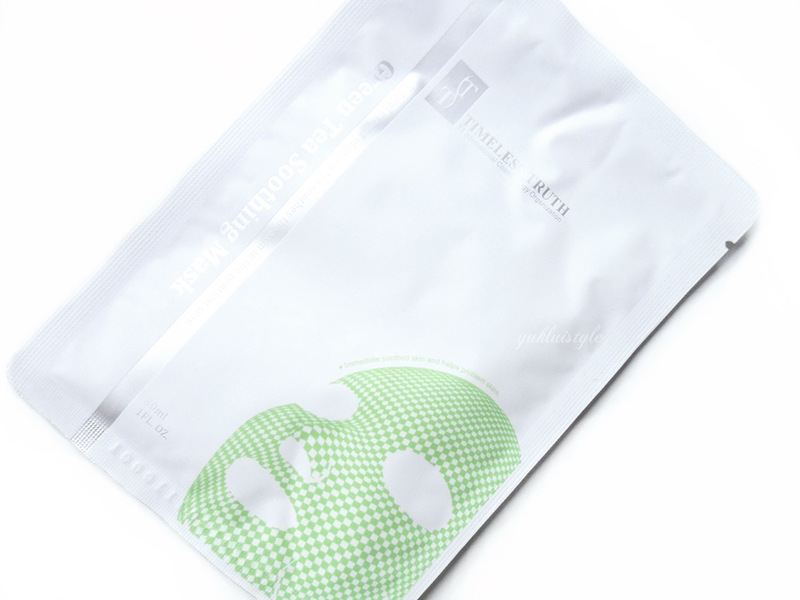 I had heard about the benefits of chamomile and green tea for the skin but had not seen these masks! I love Green tea and certainly love the Sephora green tea mask! Ahh these look so fun! 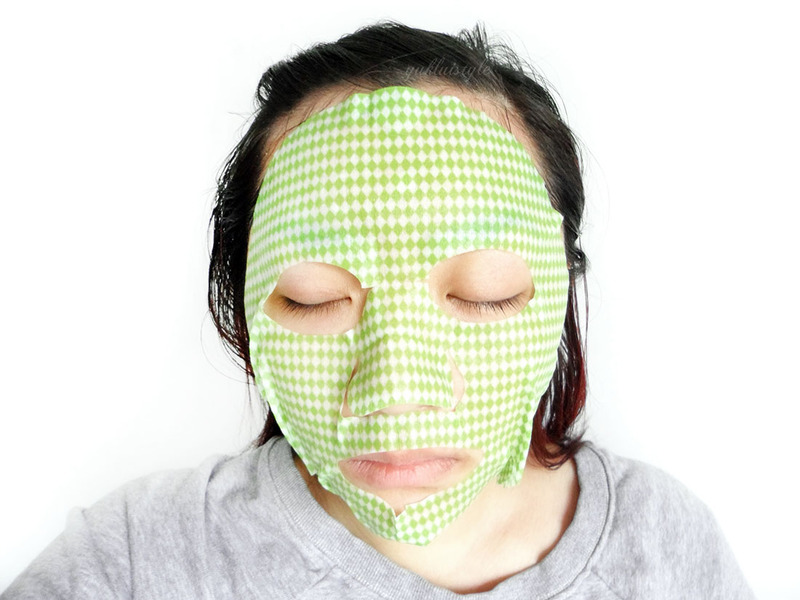 I can't believe I still havent tried a sheet mask – they look and sound great! I have sheet masks that I need to use up. This just gave me a nudge to give them a go. I have not tried green tea in skincare before. Sounds interesting. Sounds like a nice mask, slightly strange looking though never tried one like this before.